Katsuya Kodama’s wife died two years ago, and the 77-year-old keeps her ashes on a Buddhist altar in their suburban Tokyo home. As the world was focused on abortive efforts to begin repatriating hundreds of thousands of Rohingya refugees from Bangladesh to Myanmar last month, hundreds of their fellow Muslims still in Myanmar were boarding boats seeking to escape the country. Britain’s Brexit vote – How many lawmakers are backing PM May? Britain’s parliament is debating whether to support Prime Minister Theresa May’s Brexit deal, a decision which will define Britain’s departure from the European Union and could determine her own future as leader. 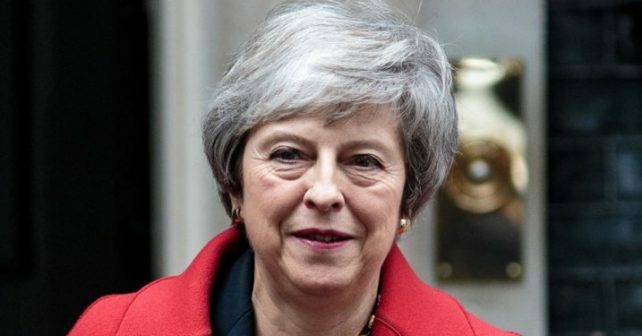 Prime Minister Theresa May said on Thursday that British lawmakers faced a choice ahead of a vote on her Brexit deal: approving her deal or facing an exit with no deal or even the reversal of Brexit. Prime Minister Theresa May’s Brexit deal came under fire from allies and opponents alike on Wednesday after the government was forced to publish legal advice showing the United Kingdom could be locked indefinitely in the European Union’s orbit. The EU’s top court will say on Monday whether Britain can unilaterally halt Brexit, potentially offering a boost to those opposed to leaving the European Union on the very eve of a crucial and tumultuous vote in the British parliament. Afghanistan’s Electoral Complaints Commission ruled on Thursday that votes cast in the capital Kabul during last October’s parliamentary election were invalid, citing fraud and mismanagement. Yemen’s warring parties were set to convene in Sweden on Thursday for the first peace talks in two years, with millions of people on the verge of starvation and support eroding among Western allies for Saudi Arabia’s military campaign.